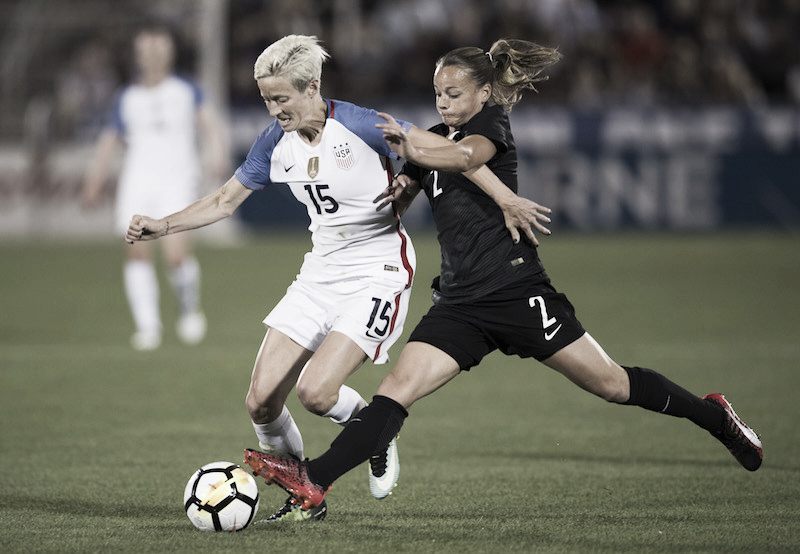 The Football Ferns will be the final opponent for the USWNT in their ten-city, ten game tour before as they prepare for the World Cup. 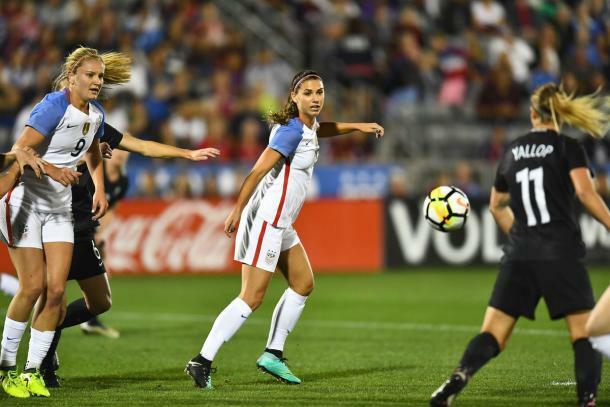 U.S. Soccer announced today that the United States Women’s National Team will play New Zealand in one of the 10 matches to be played before the 2019 FIFA Women's World Cup being held in France next year. The match will be held at Busch Stadium in St. Louis, Missouri. Fans can watch at the game on ESPN 2 at 8 pm ET/6 pm Pacific. The USWNT will play 10 games before the World Cup. The tour, which will serve as World Cup preparation, kicks off in January against World Cup hosts France, and then against Spain at the end of the month. In March, the USWNT will then participate in the 2019 SheBelieves Cup where they'll play Japan, Brazil and England. The tour continues on as the national team faces Australia and Belgium in April, and then South Africa, New Zealand and Mexico in May, with the last three games being the send off games. The last time that the two teams played against each other was on September 19, 2017. The match ended in a 5-0 win for the reigning World Cup champions even though New Zealand gave a good account of themselves. The goals came from Alex Morgan, Lindsey Horan, Mallory Pugh and Lynn Williams, with Morgan getting a brace on the day. Both teams are to play in the World Cup in France next year, with the 'Football Ferns' being one the last teams to qualify. They were the champions in their confederations qualifying, getting a 8-0 over Fiji. New Zealand was drawn into Group E, along with Canada, Cameroon, and the Netherlands. The United States will be in Group F, facing off against Thailand, Chile and Sweden. The USWNT will play Thailand in their opening game while New Zealand faces a tough opener against the Netherlands.